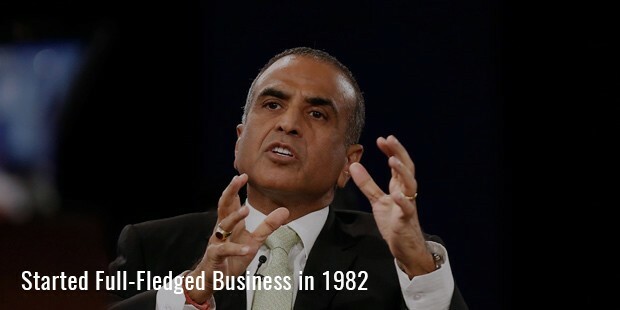 Sunil Mittal is the Founder, Chairman and Managing Director of Bharti Enterprises. He is the most ambitious businessman in India. Sunil was born to Sat Paul Mittal, a politican with the INC (Indian National Congress) and his wife in Ludhiana, Punjab. He started his education in Mussoorie inn the Wynberg Allen School, but he later transferred to Scindia School in Gwalior. He graduated from Panjab University from the Arya college in Ludhiana. Sunil went to Mumbai and started import and export business in the year 1981. In just a year gap, he established the business and sold portable generators that were imported from Suzuki Motors in Japan. This import business made him confident in advertising and marketing as well. In 1983, the government banned the import of portable generators from outside the country. This made Sunil rethink about his business. He decided to introduce push button phones in India. And in the year 1985, the old bulky phones got replaced with the new push button phones. This was the stepping stone for the foundation of Bharti Telecom Limited. They started manufacturing under the brand name Beetel and became a household name in the early '90s. Bharti Telecom Limited incorporated with Seimens of Germany to create electronic push button phones. Soon, Mittal made a mark in the field of telecommunication by making fax machines, cordless phones and answering machines. The Indian government got the licenses for mobile phone services in the year 1992. This was the turning point in Mittal’s career. According to some condition of licensing, Mittal was able to get the license of making mobile phones in the country. 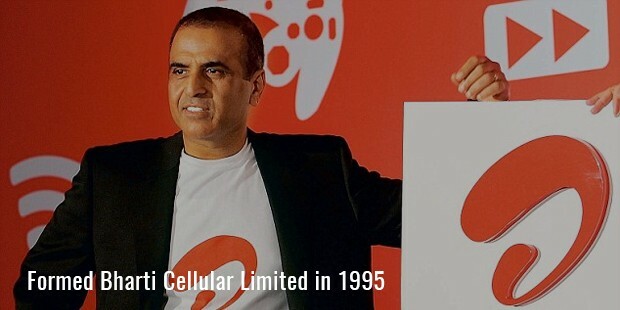 After few years, Bharti Cellular Limited was formed and it offered mobile phone services under the brand name, Airtel. In a span of a few years, Bharti group became the largest mobile service provider of India. It is the Bharti group that brought down the high STD and ISD rates in the country. 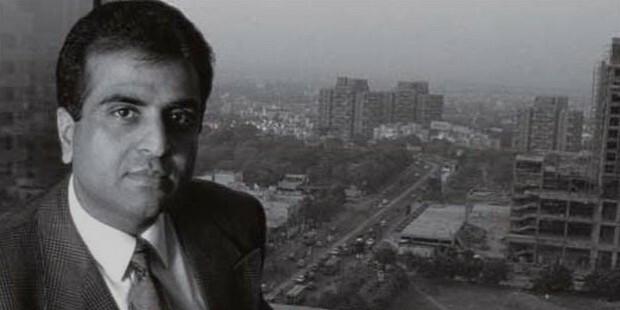 The group introduced India’s first long distance service called India One.As it stands now, he is the Chairman and Group CEO of Bharti Enterprises. 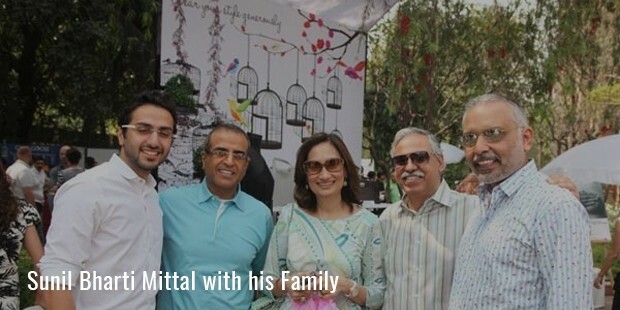 Sunil Mittal is married to Nyna Mittal and has tree children, one daughter and twin sons.Mittal has a deep passion for his work. In spite of this fact, he is a very calm and down to earth person. He practices Yoga in the morning and this gives him the power to think confidently. He thanks his family for all the support and love they gave him all through his life.Mittal always dreams big, but executes each step very slowly and efficiently. He trusts his work and this is the reason for all his success in his life. The main mantra of his life is to take risks and to stay mentally alert. He is a notable alumnus of Harvard Business achool and is also on the Board of Harvard University's Global Advisory Council. 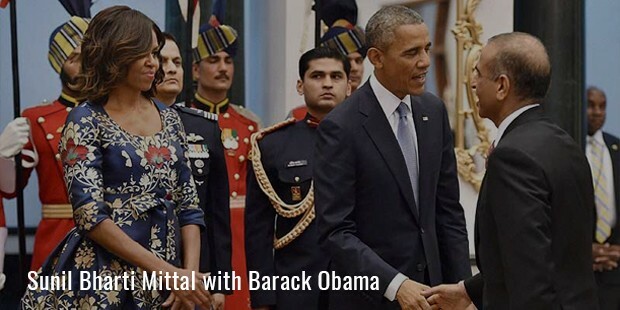 Additionally he is a Board member of Harvard Business School and the Governing Board of the Indian School of Business. He is also a Trustee of the Carnegie Endowment for International Peace, and a Member of the Board of Directors of Qatar Foundation Endowment. 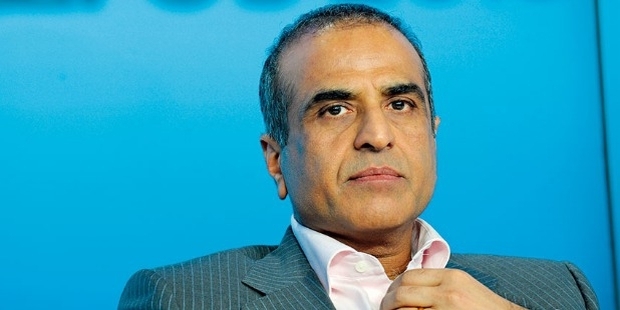 Sunil Mittal believes in giving back to the soceity. 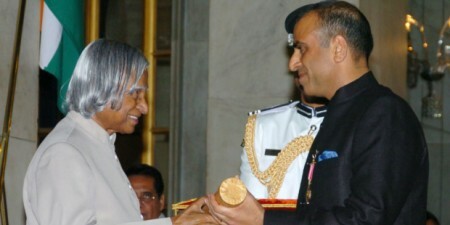 He has been working towards educating India thought the Bharti Foundation. The foundation runs over 250 schools in poor impoverished regions of the country and offer free books, uniforms, meals to the students.